The second leg of our trip through China, plus the World Expo 2010, Shanghai. We had no idea it was happening at the same time we were visiting. Again, if it doesn’t automatically start in HD, click 360p in the bottom right and switch to 720. How perfectly wretched: it’s the very last Famous Five Friday! Figuring that I should probably do something with those 20GB of China videos lying around on my hard drive, I herewith present the first in a (likely) three part series of Lindsay’s and my travels through the People’s Republic. If it doesn’t automatically start in HD, click 360p in the bottom right and switch to 720. Golly, aren’t we going to have a fine time? 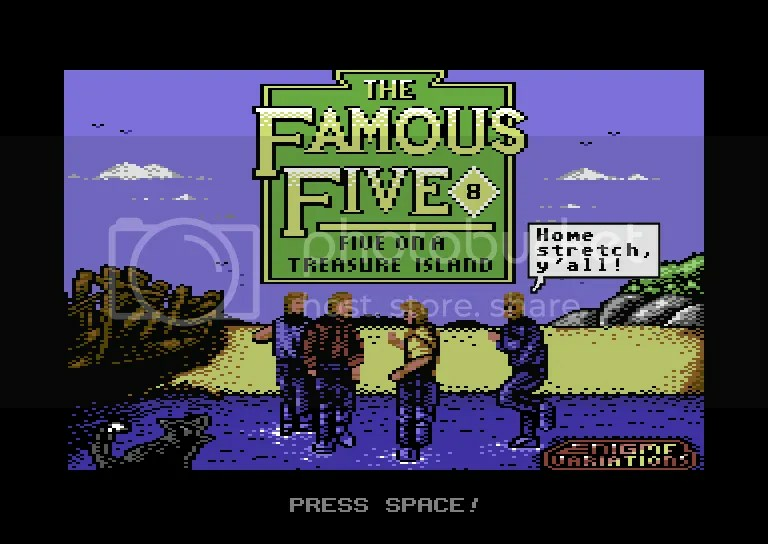 It’s Famous Five Friday! Bad luck, you awful swotters – it’s Famous Five Friday! Really, Enid – you’re making this too easy. So, some slight changes this week. First: if the screenshots look a little different, it’s because I was forced to switch from the VICE emulator to CCS64. 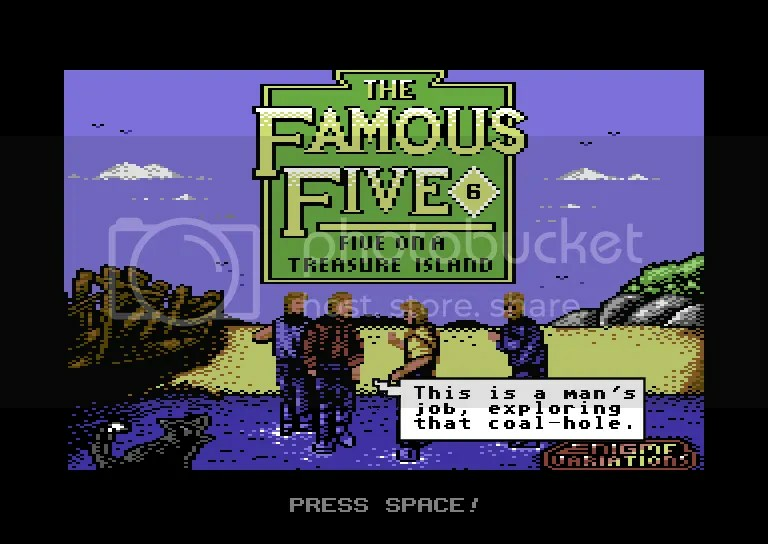 Confessedly, I did prefer the former (CCS64 has an awful habit of turning every button on the keyboard into a command at random – particularly problematic in a game that requires you to get by solely on typing) but every time I loaded a save file on VICE, it would freeze whenever I moved to a new area of the game. Consequently, I had to start from the beginning every time I played, and – since I was screwing up with alarming regularity – I couldn’t bear the thought of taking that god-forsaken train journey one more time. As a result of actually being to save my progress, however, I can exclusively reveal that there is an end in sight (! 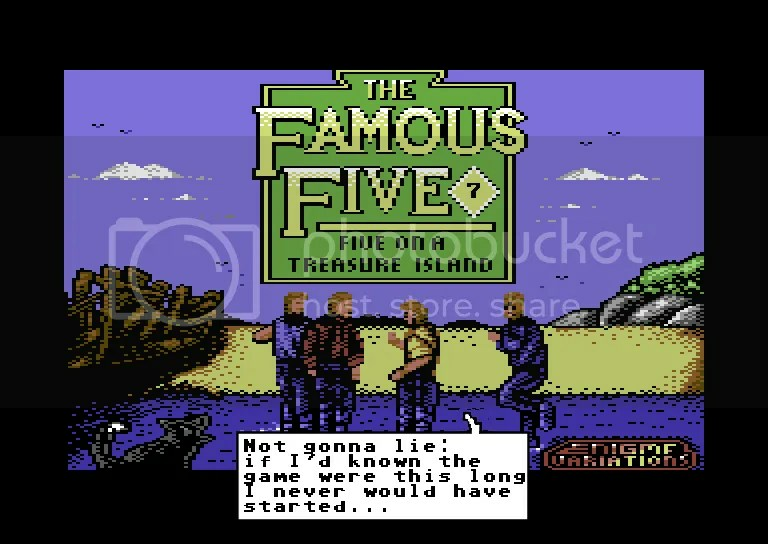 ), making this Famous Five Friday, Part 6 of an eventual 8. I’d actually made enough of those title screens above to take me into double digits, but – for your time and my sanity – that thankfully proved unnecessary.